Belgian authorities knew as early as 2012 that terrorists linked to the bloodshed in Paris were plotting attacks in the West. But little was done to disrupt the build-up of a network that subsequently became a cornerstone of the worst violence since decades in France. The revelation, published by the Belgian newspaper ‘Het Laatste Nieuws’, is based on court documents mentioning a secret memo that the State Security addressed to the Federal Prosecutor’s Office on April 11, 2012. It contained a warning about suspicious meetings in an apartment in the now notorious Brussels municipality of Molenbeek. Conversations overheard there were about the need for armed attacks against the “principal adversary of Islam”: Western democracy. Apparently, plans were made already to obtain heavy weapons and explosives to carry them out. The apartment in the rue de Ribaucourt belonged to Gelel Attar, the 26 year old Belgian of Moroccan descent who was arrested near Casablanca on January 15 in connection with the November Paris attacks. It isn’t clear yet whether he has played a direct role in that plot. But in January 2013, he traveled to Syria together with Chakib Akrouh (25), recently identified as one of the Paris attackers. Akrouh is the one who blew himself up in an apartment in Saint-Denis five days later, also causing the death of Abdelhamid Abaaoud, long considered to be the mastermind behind the Paris attacks. While Attar was hosting those early terrorist meetings, Abaaoud still had to radicalize. According to his own father, that happened in the second half of 2012, when he was in jail for an attempted burglary. 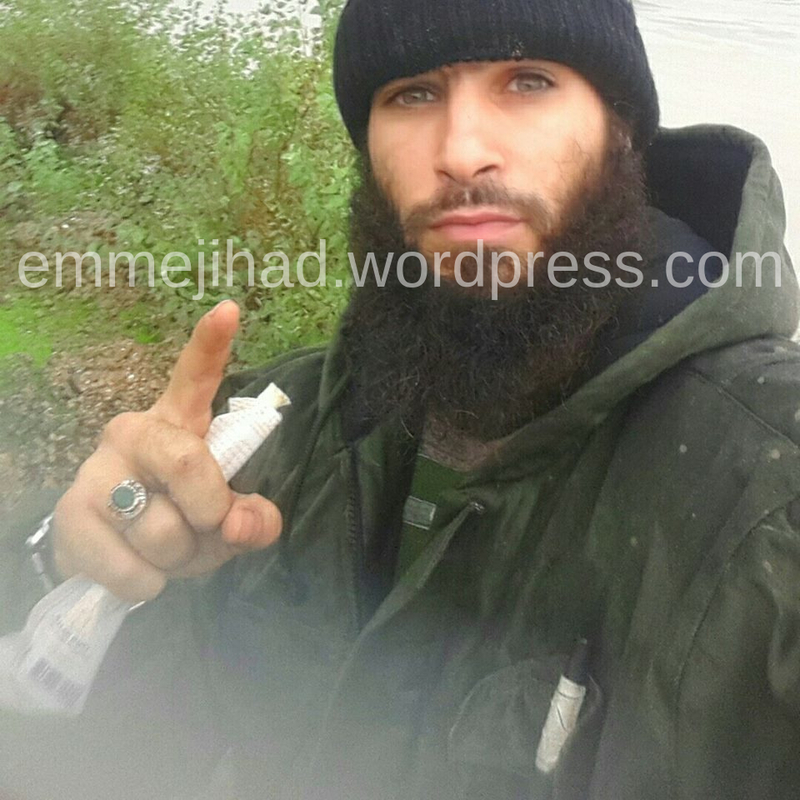 Soon after he was liberated in September of that year, Abaaoud became a member of Khalid Zerkani’s entourage. Zerkani (42) was convicted in summer last year as the head of a recruitment cell for the Syrian jihad. He was also present at the meetings in Attar’s apartment, and the fact that Attar was known to be his lieutenant, underlined back then already that Zerkani had much more in mind than recruiting fighters for a struggle far from home. However they knew that, Belgian security services did little to disrupt the build-up of Zerkani’s network. His recruits not only traveled freely to Syria, they also came back as they liked. One of them, Soufiane Alilou (22), even managed to do so five times before he was caught. Traveling back and forth often seemed to serve the transfer of new recruits, the transport of cash and all of kind of materials, such as computer equipment. In 2014 however, one of Zerkani’s fighters returned with far more dangerous plans. Ilias Mohammadi (24) — in official documents said to be close both to Attar and Akrouh — re-entered in Belgium using false identity papers on the 25th of May, one day after the Jewish Museum in Brussels had been hit by a terrorist attack. State Security distributed a warning only two weeks later, stating that Mohammadi was “armed and nervous”, and it took another two weeks before he was apprehended. At that time, weapons weren’t found anymore. But a significant amount of ammunition was uncovered, so chances are high that Belgium — or one of its neighboring countries — closely escaped another attack. It is highly improbable that ringleader Zerkani has played a role in the practical organization of the Paris attacks, since he was imprisoned in February, 2014. It also has to be stressed that not all of the Paris attackers were recruited within his network, and that the true plotting likely has happened at a much higher level in Syria, not in Molenbeek. But with three of his recruits figuring already on the list of Paris suspects, Zerkani’s contribution clearly is significant. Which also means that the Belgian security services could have done much more against the plot. That the fate of the Syrian people and their oppression by a dictator never has been the biggest concern of Zerkani, is also echoed by the trajectory of his recruit Youssef Bouyabarem. He also was present at the 2012 Molenbeek meetings, but left shortly afterwards trying to reach al-Shabaab in Somalia. His brother Moustapha was fighting already in the ranks of that Al Qaeda orientated terrorist group. It was only after he failed in his attempt to get into Africa, that Youssef Bouyabarem set his sights on Syria — another arena of the jihadist movement that he never did reach, by the way. The identification of Chakib Akrouh as one of the Paris attackers makes clear that the very same Islamic State cell was actively plotting terror in Europe as early as May, 2014. A close friend of Chakib Akrouh, who was sent to the Syrian jihad by the same recruiter as Akrouh and the well known Paris attacker Abdelhamid Abaaoud, arrived back in Belgium on the 25th of May, 2014. According to an alert that the Belgian State Security sent out two weeks later, Ilias Mohammadi was “armed and nervous” at the time. It took the Belgian police another two weeks to locate Mohammadi. He was arrested in Brussels on June 25, 2014. In the house where he had stayed, no weapons were found. But a significant amount of ammunition was discovered there. This was first reported by the Belgian newspaper ‘De Morgen’ and the Combating Terrorism Center at West Point’s ‘CTC Sentinel‘. All the information comes from Belgian court documents — more precisely from the trial that was held last summer in Brussels against jihad recruiter Khalid Zerkani and members of his cell. Abdelhamid Abaaoud was convicted there to 20 years, and Akrouh to 5 years in jail — both in absentia. Mohammadi was present and sentenced to 7 years in jail. In the judgment of the trial, it is stated that Mohammadi left for Syria on the 7th of January, 2014. He had booked a flight to Turkey together with Souleymane Abrini, whose brother Mohammed is sought now as a suspected accomplice of the Paris attackers. The Belgian top terrorist Abdelhamid Abaaoud may be dead, but that doesn’t stop the threats from within his entourage. The latest one is aimed at a cop in Verviers — the Belgian town where two Islamic State terrorists were killed last year — and coming from a man who was in touch with Fabien Clain, possibly one of the true architects behind the Paris attacks. “If I see a head like yours, I would like to grab my kalashnikov.” That’s how Islamic State terrorist Tarik Jadaoun commented on the picture of a uniformed policeman that he posted on his Facebook account early this week. The officer — whom we do not name for security reasons — has several things in common with the jihadi who left for Syria in the spring of 2014. Both are from Verviers, the town in eastern Belgium where early last year a major terrorist plot was foiled by a police raid that left two terrorists dead. Both have their roots in Morocco, while the Facebook image of the policeman that Jadaoun posted, mentions four mutual friends. It has to be stressed that most of Jadaoun’s connections looked like old friends from Verviers without any semblance of extremist views. When asked, the policeman stated that he knew about the threat and that relevant authorities were dealing with it. He denied any personal acquaintance with Jadaoun. He also asked not to publish anything about the threat — a request we have honored until the Belgian newspaper L’Avenir broke the news in its Thursday’s edition. It mentioned that the policeman gets special protection as a result of the threat. 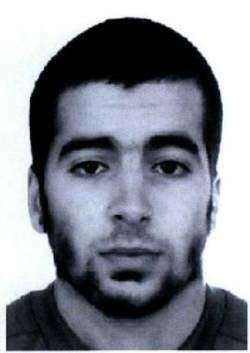 Tarik Jadaoun — also known as ‘Abou Hamza al-Belgiki’ and ‘Abou Abbas al-Belgiki’ — is a notorious Belgian within IS. After the raid in Verviers, he was named as one of the dead by several sources, including a prominent Twitter supporter of the terrorist group. The news that he had died, turned out to be false. Until today, it even isn’t clear whether Jadaoun had anything to do with the plot. But he is certainly connected to the entourage of Abdelhamid Abaaoud, the well-known protagonist. On Facebook, he befriended the Frenchman Fabien Clain, a veteran of jihadist activity who left for Syria himself and could be heard in the audio message with which IS has claimed the Paris attacks. Several sources have pointed already to Clain as one of the possible masterminds. 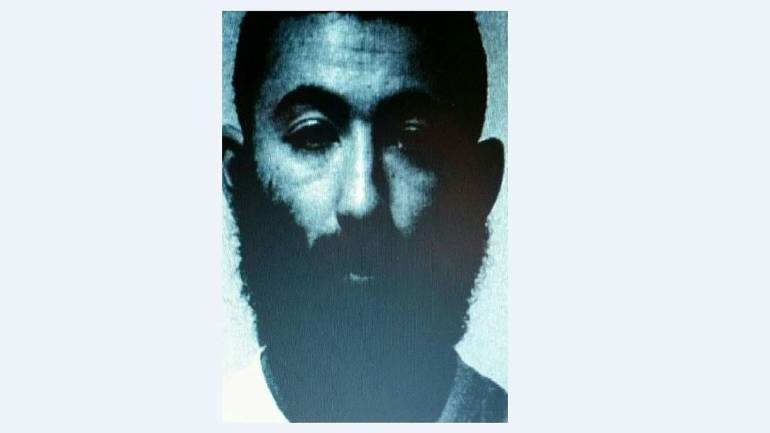 Jadaoun was also mentioned in a recent article of the French daily Le Monde as one of the very first extremist friends of Reda Hame, a French recruit of Abaaoud sent back to Europe last summer already in order to commit a terrorist attack. Jadaoun himself has repeatedly made clear that he is willing to shed blood in the West. “If I ever come back to Belgium, it will be armed”, he wrote on Facebook in the fall of 2014 already. “I will get even with the devil’s worshippers in the name of Allah.” In March of last year, he vowed that IS will destroy his former home country. “We have brothers anywhere, only waiting for an order to attack”, he told a French journalist. In a video that appeared on Jadaoun’s Facebook page shortly before it was suspended this week, he named Mosul as his current place of residence.